There are many cases where someone might be left wondering how to clone a WordPress site. You might, for example, want to move your site to a new domain name or just test something for your site in a safe environment. 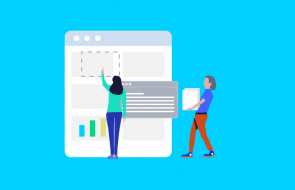 Some might even prefer cloning their old site when creating a second website and making the necessary changes afterward. Regardless, it is actually quite easy to do if and is not going to take much of your time. 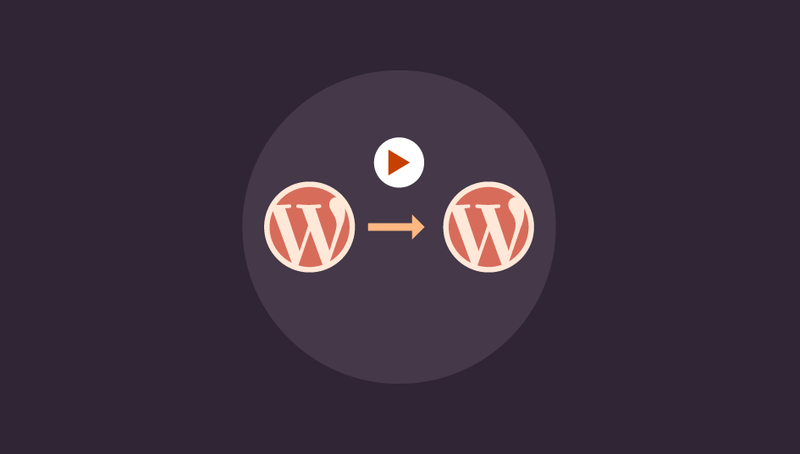 The easiest method to clone a WordPress site is by using plugins. There are a number of plugins available that you can use, all of whom have different advantages and disadvantages. In this tutorial, we are going to showcase two plugins which are well-reviewed and effective at their job. Regardless of the plugin, this process is very risky so we recommend you backup your site before doing anything. It is also important to remember that it is not legal to clone someone else’s WordPress site without their permission. 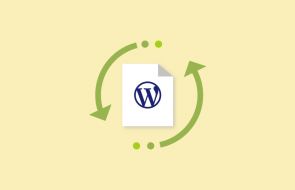 The easiest way to do it is by using the All-in-One WP Migration Plugin. Compared to other plugins, it is quite simple and user-friendly. However, unlike Duplicator, it requires you to have WordPress and install the plugin on both of your sites. If you have everything prepared, you can begin the first step, which is to export your original website into a file. Through the sidebar, go to All-in-One WP Migration>>Export. If you want to exclude certain types of content from being exported, click on Advanced Options and check the appropriate boxes. Now click on Export To which brings up a drop-down list of the various ways your site can be exported. You will need to have certain add-ons in order to access most of these options. For now, simply click on ‘File’ and wait for the plugin to finish exporting your site as a file. Download the file once it is ready. Now that you have your website exported to a file, you need to go to your second WordPress site and import it. Go to All-in-One WP Migration>>Import through the sidebar. Click on Import to bring down a list of available import options and click on File. You will now need to navigate to that file that was created earlier and upload it. The upload process can take some time depending on the size of your file. Afterward, a box will pop up warning you that this process overwrites the data from your site. Just click on Proceed to continue. Duplicator is a powerful plugin that can be used to effectively clone WordPress sites. Although it is less user-friendly compared to All-in-One WP Migration, it is a lot more versatile. Most importantly, you won’t need to have prepared a second WordPress install for it to work. Once you have installed the plugin, go Duplicator>>Packages from your dashboard and click on Create New. Check to see if everything is on order and click on Next. The plugin will now scan your site to see if everything is ready. As soon as it is done, you will be able to see the results of the scan. In order to proceed, check the box next to ‘Yes. Continue with the build process!’ and then click on Build. Duplicator will now build a package for your site. After the package is complete, you will be presented with two files to download. One is an archive containing the backup of your site and the other is an installer script. All you need to do is click on One-Click Download and you’re good to go. The next step is to upload these files to your server using FTP. Just log in to your site using an FTP Client and copy the two files into the public_html folder. Now that your files are ready, you can run the Duplicator installer and finish cloning the site. In order to do that, enter your URL into your browser followed by /installer.php and go to that page. 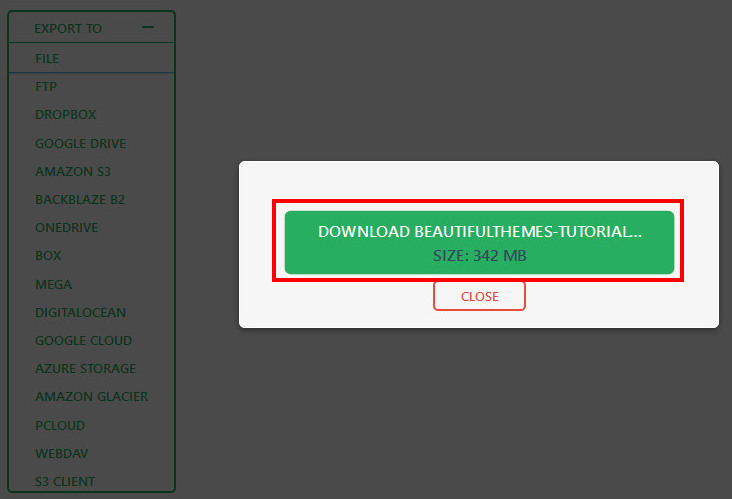 For example, our website’s link would be https://beautifulthemes.com/installer.php. The Duplicator installer script will now automatically check to see if everything is in order. In order to proceed, just check the box next to the Terms and Conditions and click on Next. After that, wait for the extraction to finish and you will be asked to enter the database information for your new site. Once you’ve entered everything and tested the database to see if the information is correct, click on Next. In the next page, the installer will automatically detect and fill in the settings for your website including the URL and the Path. Unless something needs to be changed, you finally click on Next and finish the installation. You can now test your site to see if everything is in working order. If your new website is working fine then you can finally delete the installation files. 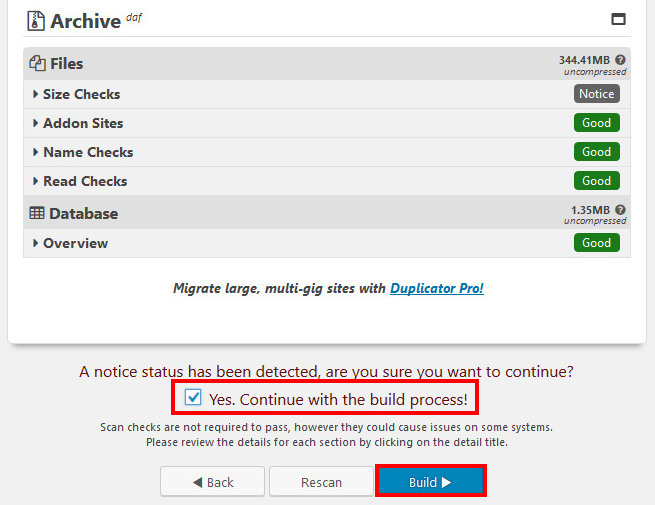 Go to Duplicator>>Tools from the dashboard and click on ‘Remove Installation Files’. To summarize, you can easily clone a WordPress site using one of these two plugins. It is honestly not that hard and will save you a ton of time compared to rebuilding your website from scratch. However, don’t forget to create a backup and be careful throughout the process. If you have any comments or feedback, please let us know in the comment section below. If you want to learn more about WordPress, we have other helpful tutorials as well. I was really wondering about cloning my website to another hosting plan, But now I am really excited of reading this post and was helpful.